With the start of a new year, the world’s HVACR community is set to kick off the trade show season with the industry’s biggest annual event, the 2016 AHR Expo. This is the “don’t miss” gathering for more than 60,000 engineers, contractors, distributors and manufacturers, and Victaulic will be there to show you some of the most innovative solutions on the market today. This year’s event runs January 25-27 at the Orange County Convention Center in Orlando, Florida. You’ll find Victaulic at booth 4214 near the main entrances to the exhibit floor. A show-stealer this year, the Victaulic System Solution for Saturated Steam will make its public debut in Orlando. It’s the industry’s first grooved mechanical piping system designed for use on commercial and industrial saturated steam and condensate piping. Tough under pressure, it offers excellent temperature and chemical resistance in steam systems up to 150 psi/1034 kPa. In-depth steam system overview with Kurt Gobreski, Victaulic’s Director of Valves & Large Diameter Systems. On Monday, January 25, at 1 p.m., Kurt will detail how this innovative product streamlines steam system installation compared to welded connections. The overview will illustrate key benefits, including reduced labor costs, faster installation, increased safety, and easier maintenance. The session will be held in Theater A – room N320G. Innovation Awards ceremony. The Victaulic steam system was recently named an AHR Expo Innovation Award winner. On Tuesday, January 26, Victaulic and all Innovation Award recipients will be recognized during a special ceremony. Innovation Awards will be presented to the most inventive and original products in ten categories, with the Victaulic steam system receiving top honors in the Heating category. A panel of ASHRAE member judges evaluated all entries for innovative design, creativity, application, value and market impact, then selected an Innovation Award winner for each category. During the 1 p.m. event, the AHR Expo Product of the Year will be announced from among the Innovation Award winners. 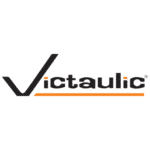 The Victaulic System Solution for Saturated Steam extends Victaulic’s line of products for heating and hot water applications. At the heart of these products are proprietary high-performance gaskets that deliver unmatched performance in high-temperature applications. At 366°F/186°C, the polytetrafluoroethylene (PTFE) composite seal within the Style 870 rigid coupling has the highest temperature rating of any grooved coupling gasket on the market. For lower-temperature applications, Victaulic offers its proprietary grade ‘EHP’ EPDM gasket material, which accommodates temperatures of up to 250°F/121°C for the life of the system. Victaulic gaskets are far from the generic “black rubber” material used in household and automotive applications. Stringent quality control measures, precision engineering, and exhaustive testing go into the manufacture of Victaulic gaskets, resulting in top performance under heat, pressure, assembly, stress and relaxation. Victaulic is the only grooved coupling manufacturer fully integrated in gasket development, including compound development, process development, dimensional optimization, testing, and final production at our ISO 9001 certified facilities. This control over the manufacturing process yields premium material formulations that exceed the maximum performance expectations of ASTM D2000 for heat resistance, offering superior longevity in hot water systems. The world’s first Installation-Ready™ fittings for grooved copper tube. These new fittings offer fast, consistent installation of grooved copper tube with no loose parts. The flame-free system helps improve safety and efficiency on the jobsite. Refuse-to-Fuse™ System for HDPE pipe. Victaulic will display the latest in high-density polyethylene (HDPE) pipe-joining solutions, including couplings, transitions and fittings that eliminate the need for fusing. The HDPE system offers installation up to 10 times faster than fusing in any weather condition and requires no special training and no heating or cooling time. Automated Roll Grooving Tool. Victaulic will showcase its RG5200i roll grooving tool, which features several intelligent operation capabilities and wireless data transfer. Eliminating the need for manual tool adjustment and pipe measurement, the machine offers greater accuracy, repeatability, traceability and safety in shop fabrication. While attending AHR Expo, be sure to stop by booth 4214 to see all the innovative Victaulic solutions on display and meet with our experts. Also, don’t forget Kurt Gobreski’s presentation on the steam system on Monday at 1 p.m. in Theater A – room N320G. If you can’t attend the trade show, watch for updates before, during and after the expo on our Facebook, Twitter, LinkedIn and Google+ channels. See you in Orlando!